It may not win any beauty prizes, but this fig coulis makes up for its less-than-stellar appearance with fabulous flavor. Plus, it is beyond easy to make—if you can turn on a blender, you can make this coulis! Serve it raw, as a dip or spread, or gently heat it over low heat and serve with roasted pork, chicken, or turkey. It makes, we must add, a lovely twist on tradition to serve it with the turkey on Thanksgiving in lieu of or in addition to cranberry sauce. Trim and discard the stems from the figs. Chop the figs. Don't worry about even or small pieces—they're getting whirled in a food processor or blender. 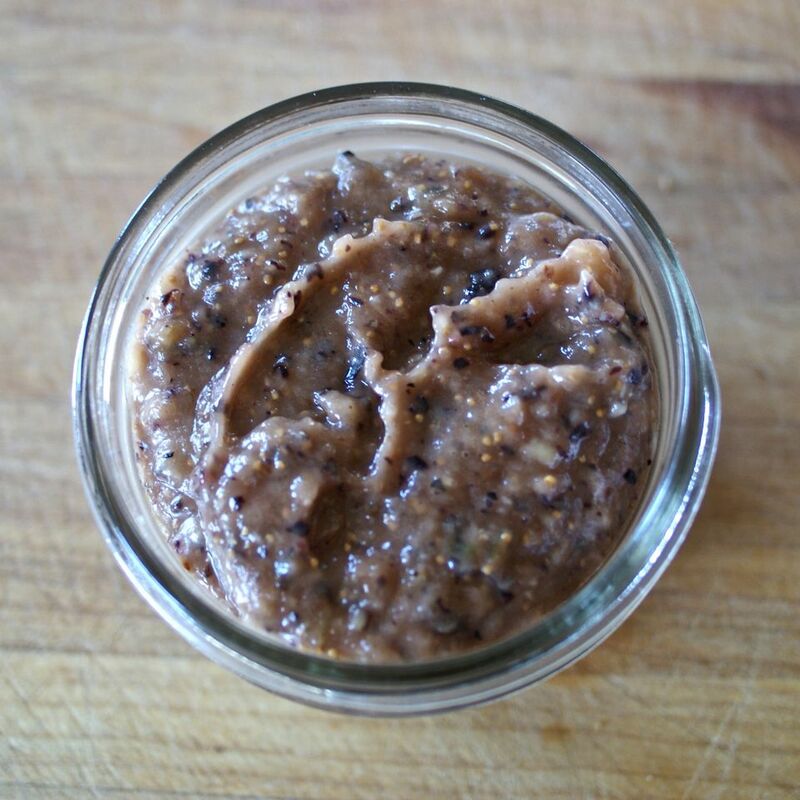 Put the chopped figs, along with the oil and vinegar, in a blender or food processor. Whirl the figs into a puree. Because of the seeds and figs skins, the mixture won't get super smooth, but you want as even a texture as you can manage given the circumstances. Add salt and pepper to taste now if using raw, or after warming up if using as a warm sauce.